Enjoy your dinner in an atmospheric and romantic environment…an amazing ‘journey’ of senses are about to begin…! A unique environment to enjoy in magnificent scenery Laid back and experience stress free holidays. Proteas Blu Resort in a tranquility atmosphere shows character and inspires a sense of familiarity. After the warm welcome sense the friendliness of the people. Feel comfortable within “Proteas family” while taking part in numerous activities or by chilling and resting your mind. Accommodation facilities are wonderful and the food is superb. In PB you will have quality time…actually the time will be all yours. 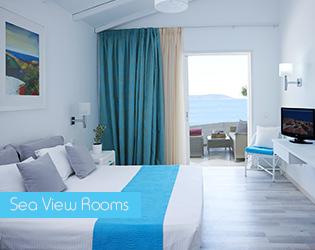 Proteas Blu Resort is the most finest and luxurious beach front resort on the Island of Samos. Guest’s accommodations looking to the sea are spread out on Mediterranean landscaped terraces situated on a naturally secluded bay having two private beaches. The unique architectural personality, the elegant accommodation and the tranquil setting offers majestic views of the blue marine seas surrounding the Aegean Islands and the Anatolian coasts. Together with the highly personalized and eminently friendly service satisfies the needs of the most distinguished traveler. Ensconced on one of Samos Island’s most picturesque beaches, Proteas Blu Resort combines traditional style with an exclusive contemporary design. 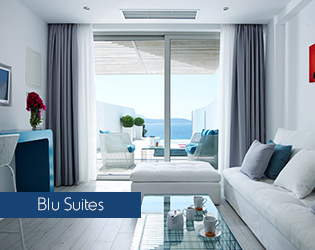 Spacious rooms with a small sitting area with direct view to the Aegean BLU. Located in the village where the BLU of the sea blends harmoniously with the white washed houses. Proteas Blu Resort has numerous options to satisfy all your culinary needs Four (4) restaurants & three (3) are there to take you to a unique gastronomic experience. Proteas Blu Resort offers a wide range of deluxe services and facilities aimed to make your stay as relaxing and enjoyable as possible. We invite you to indulge in a harmonious collection of spa services. Our staff of fully certified experts will ensure that your visit will bring a renewed sense of balance and wellness! An Indoor swimming pool, Jacuzzi, hair salon, manicure, pedicure and fully equipped treatment and massage rooms. Fitness Centre and strength equipment's. Combining business and pleasure, Proteas Bay Hotel offers a “Sunny” Conference Hall for special meetings or summits accommodating up to 250 people, equipped with individually controlled air conditioning and the latest technological equipment. From a huge big party to an intimate wedding ceremony for just the two of you, Proteas Bay offers the perfect setting for your dream wedding. 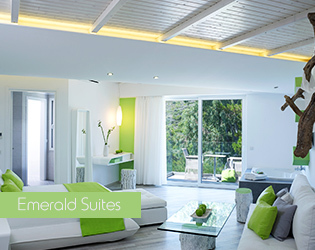 Choose among distinctive locations to make your lifetime commitment and numerous outlets with elegance.